The unprecedented rise to prominence of significant elected officials, overwhelmingly on the left, who have rejected, or are unaware, of facts and factual arguments is extraordinary. The popular new faces in national politics, including individuals such as New York City’s Congresswoman Alexandria Ocasio Cortez and Presidential wannabe Beto O’Rourke, have clearly, almost proudly, headlined their ignorance, and paid no penalty for it. 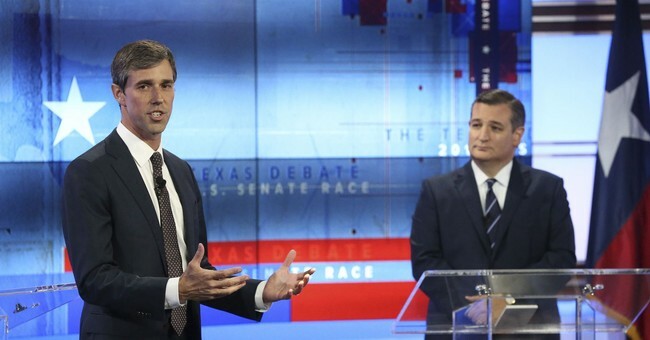 Rep. Ocasio-Cortez (D-NY) has argued that, “Unemployment is low because everyone has two jobs.” In a recent interview, O’Rourke failed to provide any substantive responses to almost every question put to him. Both, however, are considered rising stars on the left. A fawning press has declined to criticize them. The Russians and the Chinese have massively increased the strength of their armed forces, even while, during the Obama Administration, the U.S. cut back its military. The increased aggressiveness of both of those nations is blatant. The threat is real and undeniable. Nevertheless, it is a mantra on the left that the Pentagon’s budget should be cut. The commission of serious crimes by illegal aliens and the high costs from social services provided to them is real. The Democrats have made opposition to measures preventing unlawful border crossings a central tenet of their beliefs. Many endorse granting voting rights in local elections and issuing drivers licenses to illegals. The nation labors under $21 trillion in debt, with more added each second. Yet, overtly unaffordable concepts such as “Medicare for all” and free college tuition are essential parts of the leftist platform. Despite significant and clear-cut evidence that increasing the minimum wage results in job loss, the concept is overwhelmingly endorsed by Democrats. Socialist economics have ruined every nation in which they have been attempted, Venezuela being merely the latest example. However, the institution of socialist policies is now the hottest trend in left-wing politics. There has been little mention of its century-long history of failure in just about every type of environment. Several decades ago, then-Vice President Dan Quayle misspelled “potato” and became a national laughingstock, despite his significant intellect. With disturbing frequency, campaigns are being decided not on considerations of which candidate offers the more viable solutions, but on which contender is more “cool.” These contests are beginning to resemble high school elections for prom king and queen more than traditional elections. A leftist-oriented media, eager to avoid serious consideration of the failure of leftist ideology, is all to eager to encourage this.